Shrink Rap: News. News. And Too Much News. News. News. And Too Much News. Oh my, time has been getting away from me and it's been a bit since I've written a blog post on Shrink Rap! First let me steer you over to Clinical Psychiatry News where ClinkShrink has written an article called "New Mexico High Court States that Assisted Suicide is not a Right." If you surf over, you'll also note that Clink has a lovely new head shot up next to her article. As I've mentioned before, the Boston Globe's famed spotlight team is doing a series on the trouble public mental health system in Massachusetts. The second installation went up on July 7th and discusses the roll of the police, and police training, in handling psychiatric emergencies. 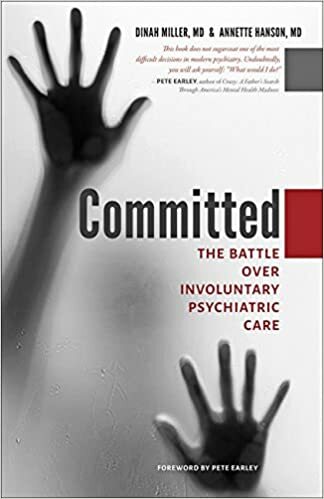 It read just a little like the chapter from our forthcoming book, Committed, only I liked our chapter on the police and Crisis Intervention Training much better (perhaps I'm biased?). In writing our chapter, I was privileged to have the help of Montgomery County PD officer Scott Davis and he is a treasure. Also, our chapter had more meat to it, so you can check out the Globe's piece and when Committed is available, let me know which you like better. Otherwise, I have to say that the news is leaving me rather despondent. I tend to be an optimist, to have at least a little trust in the system and in the goodness of people, and it's all being tested. 341 million people in this country and we can't find two smart, honest, kind, capable and energetic people to run for president. The stories of police officers shooting people leave me ill, and the mass murders in Orlando (which now seems to be old and forgotten news) and Dallas, are just horrific. Baltimore has always been a dangerous city, and the Freddie Gray trials are wearing on us all. There are protests, sink holes, random murders of children. In the last two days, a former Hopkins professor was murdered while walking her dogs (the assailant remains at large) and a 21 year old young man in the suburbs was shot and killed while walking his girlfriend home. Between the election and the crime, I may be due for a social media vacation. I'm sad. 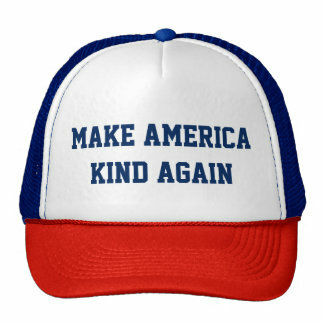 Can't we make America Kind Again? That sums up this Society, we want people to be kind, then they need to stop playing with their gadgets and being distracted with things that focus on the self. It just may be my opinion, but I see as a professional most people who are self-absorbed usually are going to very negative places, maybe not always murdering people, but creating strife and discord is more common than expected. Um, cyberbullying and all the hideous consequences as a start??? So, get rid of Twitter and Facebook as a start then people might realize that there actually are real people out there who could be friends. "81% of people would rather travel with their mobile device than a loved one"
Again, you want kind to return, people need to know social skills, not app skills!!! Tracey, I've also noticed that we get way fewer commenters (and way fewer haters, which is nice). I miss the give and take and the stories, but I don't miss the venom. We're still getting readers, sometimes thousands per post, so I don't know what to make of it. I took down your comment, not because even though I don't think it was directed at another commenter, it seemed to be taken that way, and I want Shrink Rap to be a place of bad feelings. We have the whole rest of the world for that. Thank you both for participating. 2 weeks btw! I will have to screen shot the post and send it to my doc. I don't know if this comment either worthy or acceptable to the premise of the post, but, this election may profoundly fracture relationships people have with others in their lives, as we are at a very stark crossroad with this election process. 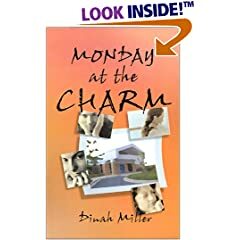 I doubt you read at my blog, but, I have written back in March and April about Living in a Personality Disordered Society, and the fruition of what I wrote about seems to be playing out with first the Republican Convention, and then to be cemented in place with the Democrat one next week. Character, principles, and commitment to inherent rights versus wrongs are now front and center as choices and expectations. And I think it relates to your post about being kind, because neither of the candidates running for President have any real ability to be kind, much less remorseful, sympathetic, nor empathetic to the travails at hand across this country. What a loud statement last night to boo someone asking people to vote their conscience. Wait for what will be equally heinous by the Democrats when they exhort empty virtues in Hillary Clinton as well. You hope for kind when we are looking at choosing between the alleged lesser of two evils? Mental Health Care is going to be barraged with people trying to make sense of such a senseless option, the explosion of depression, anxiety, hopelessness, and sheer fright from those realizing we are in a world of trouble now. And their ain't a damn pill to make a difference with the status quo. But back to my point, people are going to face those who extol the greatness of either Trump or Clinton, and those who really, truly know better, will have to look such supporter(s) in the face and decide how and where to go from there. Yes, this election has the capacity to deeply fracture relationships for years to come. Because people will have to chose between what is right and responsible, versus what is popular, easy, and convenient. Oh, and what benefits a political agenda as well. Independence and autonomy just got the sucker punch from hell these last few months, and boy, laying on the ground in a gasping ball of hurt, well, the image for readers to ponder? Sorry I had to submit this, but I think it fits the point of your post. Even if you don't print this, I hope you at least read it. Joel, maybe it's finally happened, maybe we agree on something. Not clear at all that I can make it to this election. A pill? A cave? Who are you voting for? 341 million people in this country and we can't find two honest, kind, and competent people to run for President? I am disheartened. It's just incredible to watch the dumbing-down of society, and in my opinion, a lot of it's just immaturity,lack of problem solving skills, and frank instantaneous gratification that technology has reinforced to the 9th degree. Thank you for allowing the above comment to stand. She deletes me...all the time! Murphy Bill --Now With Guns? Boy or Girl and Are You Sick?